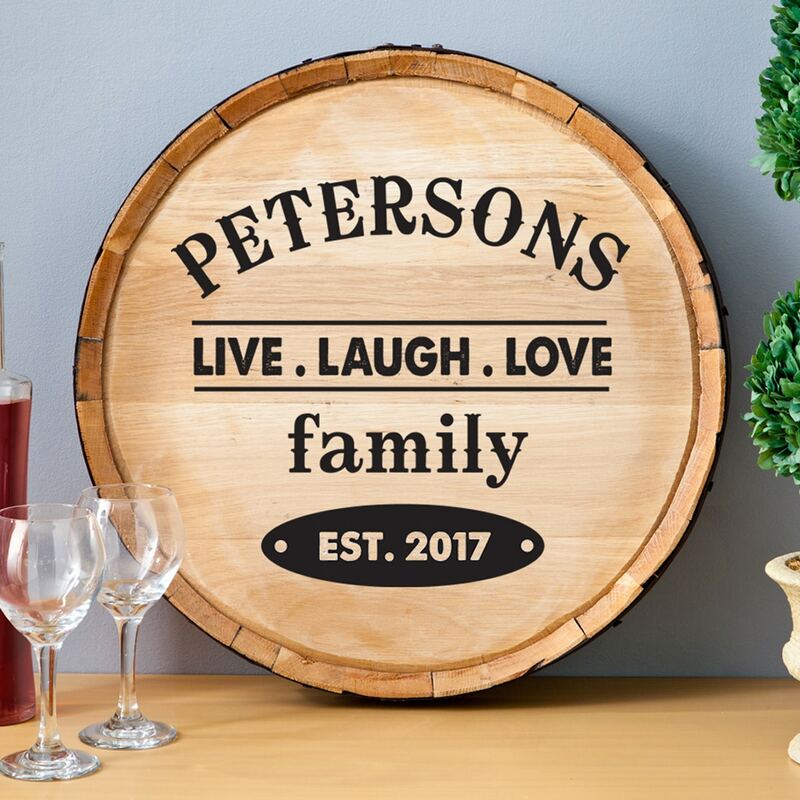 Our customized barrel head signs are an amazing gift idea for grooms and groomsmen who love whiskey. 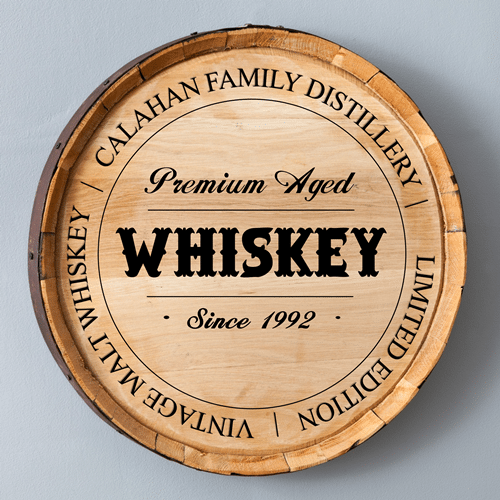 They’re crafted by cutting the tops off of actual used barrels. 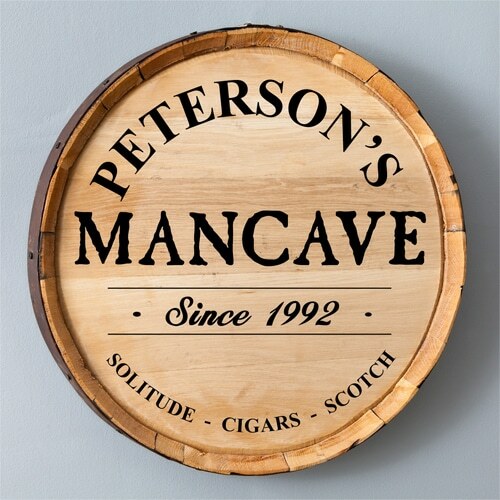 Take your pick from our dozens of designs including man cave, home distillery and family label. We even have designs for wine lovers. 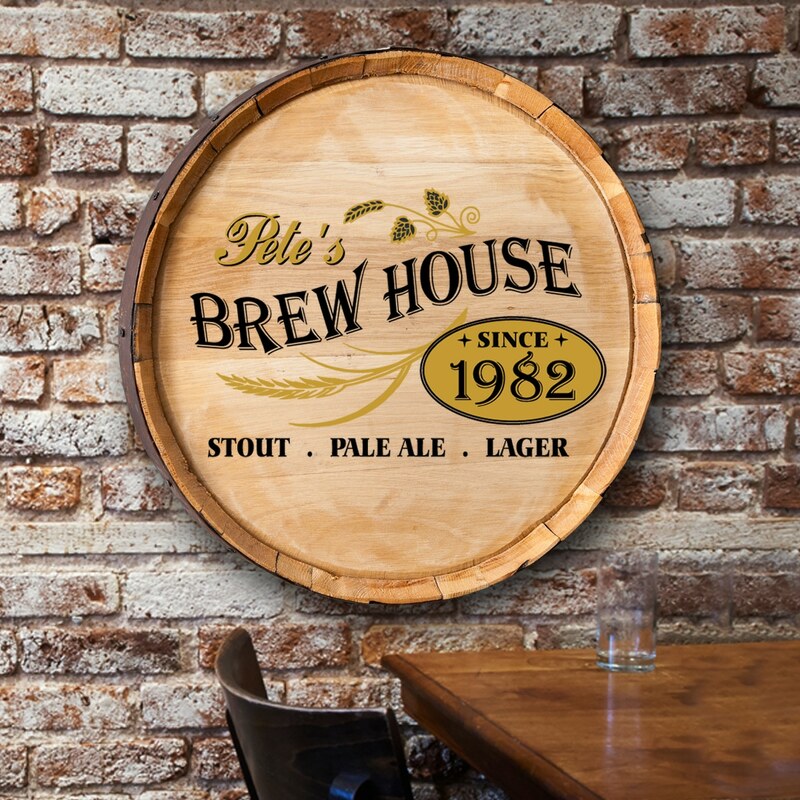 We’ll add the recipient’s name to make a truly personalized piece of decor.